A collection of stories, poems, dramas and more. Experience the joys and heartaches of the Christmas season. You are certain to find something in Christmas: Stories & More to delight, inspire, encourage, help, or challenge you, no matter what genre you prefer. 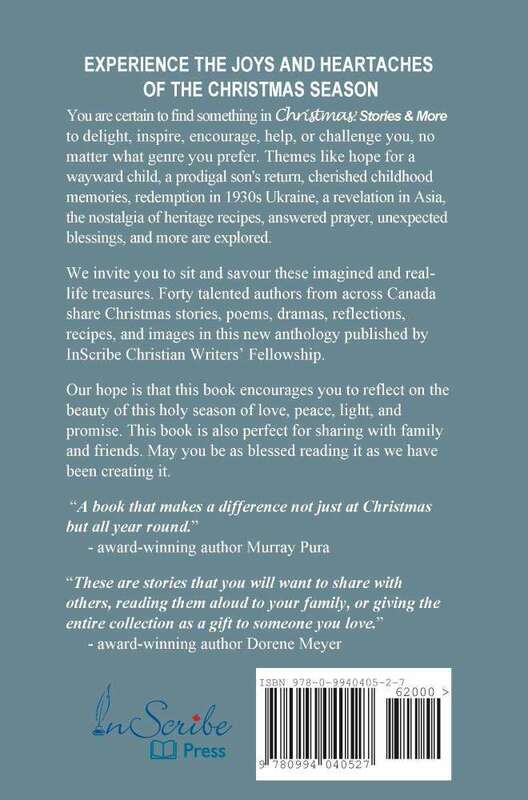 Themes like hope for a wayward child, a prodigal son’s return, cherished childhood memories, redemption in 1930s Ukraine, a revelation in Asia, the nostalgia of heritage recipes, answered prayer, unexpected blessings, and more are explored. We invite you to sit and savour these imagined and real-life treasures. 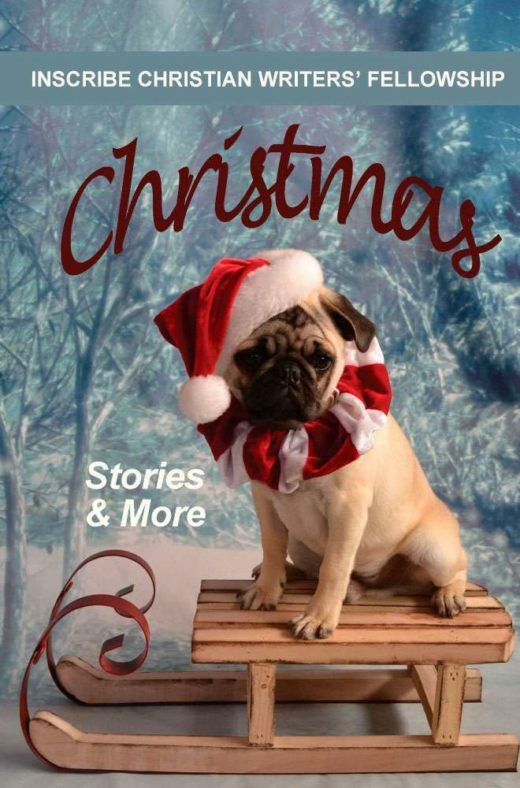 Forty talented authors from across Canada share Christmas stories, poems, dramas, reflections, recipes, and images in this new anthology published by InScribe Christian Writers’ Fellowship. Our hope is that this book encourages you to reflect on the beauty of this holy season of love, peace, light, and promise. This book is also perfect for sharing with family and friends. May you be as blessed reading it as we have been creating it.